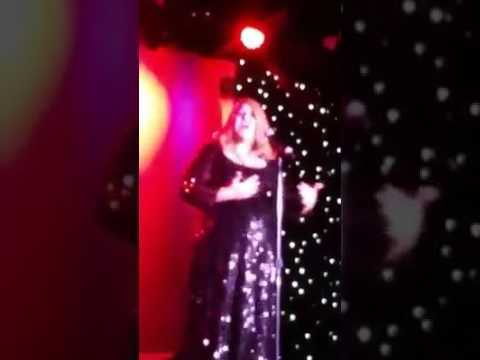 The impersonator that got Adele''s attention on her world tour! Singing for Mark McGrath from "Sugar Ray"
Award-winning Adele Impersonator and number one Adele tribute sound alike! When Andrea begins to sing, people feel as if they have been transported to one of Adele's sold out world tours. Andrea does not lip sync but sings every song live, capturing the iconic Queens Lush vocals. There are many great Adele look alikes on the globe but Andrea is guaranteed to be the closest vocal mirror to Adele you can find. This Tribute artist was acknowledged by the real Adele during her recent World Tour and if the real Adele is impressed, you will be too! Andrea's voice can be heard on radio stations throughout the world portraying Adele and Andrea has been nominated for a Vegas award in 2016. I never met Andrea (Adele) as I hired her to sing an Adele-a-gram for my wife. She communicated so well over email I never even wound up needing to speak to her. I wanted a fun and sort of silly mood and she absolutely nailed it. She didn't just show up and sing but instead researched the location, created a back-story and executed everything to perfection. She is a beautiful singer and a wonderful person and she really made my wife's day. Wasn't sure it wasn't Adele!! I was broadcasting live from Adele's show at the American Airlines Arena when this lovely lady came up and wanted to sing 'When We Were Young'. When she opened her mouth I was honestly wondering if Adele was punking us by coming out to sing. I then asked her to come by the next night. She did and sang 'Hello' - many double takes from people walking by and many stopped to listen and film! See her if you can. My wife and I saw her at The Winsor and were blown away. She started the sets doing other songs that really showed her versatility and talent. We were impressed. Then, wait for it........she came out as Adele and blew the roof off the building. The accent and stories when she talked set the tone, then she started to sing and the room went nuts. We were fortunate to be up front and I got to understand every word of each song. I now understand the meaning and depth of each song. I totally get Adele now. Andrea Tyler is beyond amazing. You have got to see her in person. She could fill a stadium and no one would know the difference. Loved it!! I hired Andrea to surprise my husband at his office for our anniversary. She exceeded all of my expectations and was very professional and has an excellent voice. I would highly recommend her. Thank you so much Shauna! It was a pleasure! I needed a video for my girl friends video. The singing was beautiful. The reaction from everyone one even her was like "OMG IS THAT ADELE?" Adele was the perfect choice for me to send to my sister's 40th birthday party, she showed a lot of patience dealing with working out kinks in the schedule, I would recommend her any day of the week. We hired Andrea for a corporate event this February. Not only was she incredibly accommodating with our last minute booking, but she was also a pleasure to have joined us for the evening's proceedings. 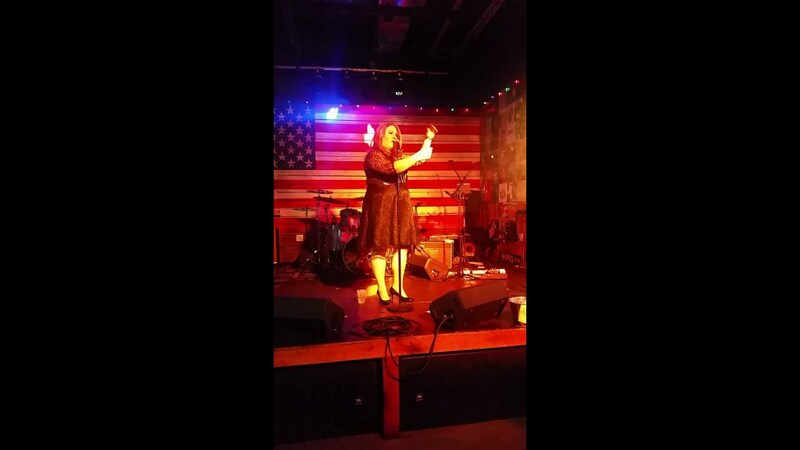 Her voice was uncanny in its similarity to Adele and I would recommend her to anyone who is in need of her professional and outstanding services. She is very talented and responsible. I will definetelt hire her again. My sister is a HUGE fan of Adele. So, as a birthday surprise, I took her to an event to see Andrea perform. She said "I didn't know Adele did performances in Hudson!!" My sister thought I had taken her to an Adele concert!! Andrea is truly AMAZING! She sang beautifully and has Adele down to the last detail! We were so impressed! It's so great to have our own "Adele" in our local area! Andrea was very pleasant and humble! Her performance was simply OUTSTANDING!! We can't wait till' she comes back to the Hudson area again! We contracted Andrea to do an event for us and was blown away by her performance. She is ADELE down to the last detail. Great communication and very professional. Thank you Adele for coming to see my fiancee in Miami for Valentines Day! Truly a memorable experience! I will definitely ask for you to come and preform at our wedding in November! Andrea has been revered by fans all over the USA as the mirror tribute to Adele. She delivers Adele's iconic vocals so spot-on, that she is often mistaken for lip-syncing when she is singing live. Along with Adele's sultry voice, Andrea brings the humor of her British personality to stage for an interactive show that will leave you amazed! Also available for photo opts, meet and greets, singing telegrams, corporate events, private parties, etc. Andrea has shared the stage with Jessica Simpson, Fernando Varela (America's Got Talent), Mark McGrath (Sugar Ray), Michael Bolton, Vanessa Williams, Sir Elton John & most recently - on Barry Manilow's final World Tour. 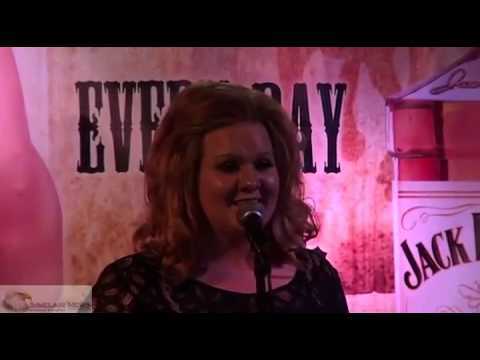 Andrea began impersonating Adele in 2013 and her spot on tribute has spread life wildfire. Her Tribute to Adele was an immediate success and now she travels the world bringing the iconic British sensation to life right before your eyes. 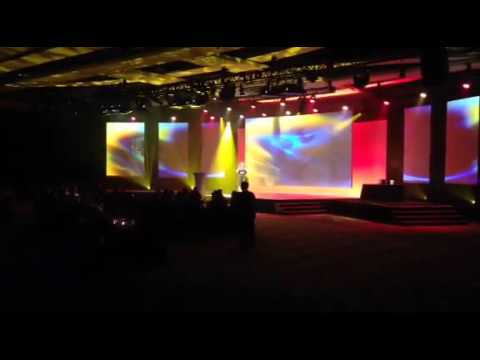 Lighting and sound equipment can be provided by performer if needed. If Adele sings it, so do I!